uranus can be very itchy. maybe u have worms? I pull my trousers right up to my neck when I do sky at night. 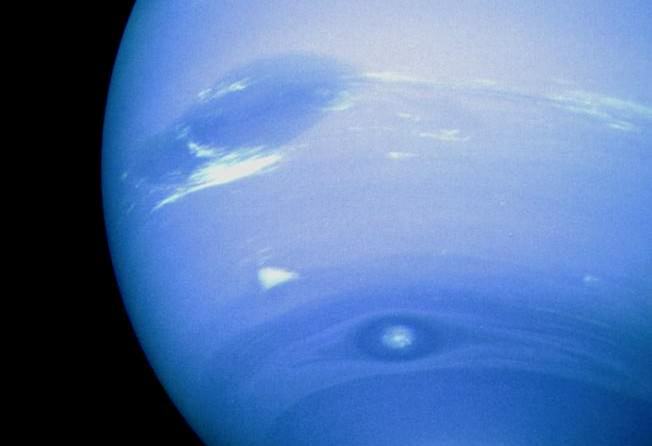 ThAnK yOu to all the people that write this article because now i know more about neptune!!! Can you pls.write more article about the planets because i’m enjoying reading a article about the planets!!! Seems like it’s almost in the “Goldie Locks” zone! Imagine 40 years of summer! That’s a lot of lemonade! Imagine -203.15 c? That’s not quite the lemonade summer you were thinking about, is it? Sweatshirt weather. I love it. An incomplete article due to the following facts — 1) Neptune’s stratosphere is at least 30 degree hotter than Uranus; 2) Neptune has a great internal heat source compared with that of Uranus, i.e., it releases more heat than receiving from the sun. sang: All the planets give off more heat than they receive from the sun. Think about it: the heat the release will be equal to one solar input (whatever that happens to be for that planet), + whatever internal heat they’re releasing. I really get tired of articles that use everything except the english system. Kilometers, celsius, kelvin, all those scales are meaningless. If you’re going to publish articles in the U.S. at least include english system measurements on every numerical data you list. Sheeesh. Yeah. I mean, we’d hate for the 4% of the world’s population backwoodsie enough to still use outdated units to be inconvenienced. Or they could, you know. Learn. I wonder if he knows that American scientists who work in the fields covered on this site also use the metric system. Its not the “English system”, it’s the Imperial system. And the metric system is used by every country in the world except for the US, Myanmar and Liberia. It is hardly meaningless, it is in fact, just shy of universal. Except, this article is published primary for readers in the US correct? Most of the readers are people who weren’t taught to use that system, correct? I agree firmly with the OP. It’s not our fault that we were not taught to use the metric system. Yes; it makes more sense; yes it’s a better system; our government and education system has decided we shall not use it. For better or worse, we have spent our entire lives driving miles, measuring in inches and feet, and weighing in pounds, because that’s what we were told to do. Your obvious and purposeful omission of these units – included by most, or all, of UT’s other writers – is frustrating to someone who pays monthly to support this site, but to whom seeing your name at the top of an article means either needing to skip it, look up conversions and use a calculator, or ignore some of the most fascinating parts of your pieces. Illegal? Nope. Unprofessional? That’s for readers to decide. I’ll tell you one thing though: space journalism is supposed to be about making science accessible to the “masses”; the everyday people; the non-scientists among us, and there’s well over 300 million people to whom your articles are not accessible. Cosmological/Astronomical numbers are hard enough to wrap the human mind around anyway, purposefully omitting the only units that a substantial portion of your reader base has no real life experience with which to imagine these scales, then further minimising them by posting a comment which I personally took to mean “you’re so small a group as to be insignificant and not worth my time”, might not be the best way to bring science to the masses. I’m not your boss, nor can I tell you how to do your job. I can tell you though, for what it’s worth (which I understand may be nothing), that a good percentage of readers, representing – at a minimum – hundreds of people, don’t find your writings accessible, and aren’t learning the metric system just so we can read them. This site is published for all English-language readers. SWhile most of our readers reside in the US, the metric system is used for all scientific measurements, hence why we rely on it. Second, we regularly include imperial conversions in our articles. But at times, we don’t always remember since (as I said) the metric system is used universally for the sake of scientific research. At no point do we “purposefully” omit things. Last, this site is free, so therefore no one is “paying monthly” to use it. I don’t know where you drew that ocnclusion from, but its completely false. All the malformation we provide is given free of charge, so you are therefore not entitled to a level of service in exchange for your money. And if people like yourself find it frustrating, you yourself are capable of using a calculator and consulting a conversion table, yes? So what does it matter which units they use if it’s all equally meaningful or meaningless to the average reader? Might as well use the ones that most people in the world are familiar with, and it probably makes it easier since it’s most likely how the information was presented in the first place. So much “scientific” BS nowdays. Why don’t they admit they don’t know chit? I am so sick of all these theories and guesses where the people making them make sci fi authors look like absolute geniuses in comparison. Our government is over educated nerds and so is our scientific society. Where has common sense and logic gone? I guess it is out the window……. Yep, and the biggest lie of all is evolution. Talk about theories and guesses! They cannot admit that evolution just cant happen, because they would lose everything. All of their work would be for nothing, and some of their work has even been faked! There are no transitional fossils which even Darwin said if we cant find, his theory would be false. what causes the 1500 mph winds??? 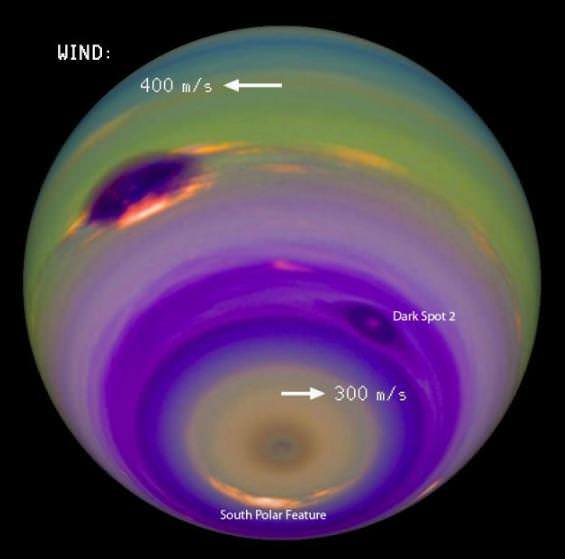 One problem with this article the picture with the caption beneath saying “Image of Neptune’s and close-up of its Dark Spot, taken by the Hubble Telescope. Credit: NASA/ESA/HST” is actually a picture of Uranus. which it says so at the top of the picture. So people will now be confused. Perahps you should take the article down, re-edit and then restore it. Or perhaps no one else noticed. I JUST DON’T UNDERSTAND WHY NASA JUST DON’T SEND A SPACECRAFT TO THESE GAS GIANTS AND STUDY THEM UP CLOSE.and lets all see what they are truly like. They have. The Voyager 2 probe conducted a flyby in 1989. And Jupiter, Saturn and Uranus have been investigated by multiple probes. And then there was the New Horizon’s probe that just made its flyby of Pluto last year. The Earth in a typical basement in an average zone such as Ohio is in, has a temperature of 52 degrees F. This temperature remains constant in the summer. The temperature at the core is what? 8,000 degrees F? That could be off a little bit. Okay, temperatures at our surface of our planet vary considerably. Possibly any where from 40 degrees F. below zero to 120 degrees F. in countries near the Equator. A lot of that is contributed by our relationship to the local Star we call the Sun. Now, if you have a core temperature as described in the article then at some point deep in the atmosphere you have a goldilocks zone on Neptune. Granted the pressure of the atmosphere is much higher than the Earth’s. Which leads to the question as to whether or not liquid oceans could exist on Neptune with temperatures near Earth Normal at some depth. Anything above that depth would be far too cold. Are the winds deep into the atmosphere or on top of some kind of ocean feature? If there is a goldilocks zone on Neptune, then given the near Earth normal gravity I would think life may be possible. But for it to exist, then some form of plant life would also have to exist deep in the atmosphere itself. A key here may be the rocky core. Such a core at intense high temperatures may be giving the same effect as deep water volcanoes on Earth. Meaning that life may have evolved to meet the conditions on Neptune. Or not. The lack of viable visible radiation could keep that from happening or not.